The Credit Linked Subsidy Scheme (CLSS) was introduced by MoHUPA (Ministry of Housing & Urban Poverty Alleviation) on 25th June 2015 under PMAY-U. The scheme was introduced under Awas Yojana introduced by PM for improvement, extension, purchase or construction of residential facilities for people belonging to EWS / LIG / MIG (Economical weak/ Lower income / Middle Income groups). The scheme was introduced with an aim to promote urbanization and cater housing demands of ever needy people belonging to these groups. There are the following criteria that need to be fulfilled to be eligible under this scheme. It is certain that the candidate should not have a pucca home registered on his or her name. Under the scheme it is also important that none of the members belonging to the candidates family should own a pucca home on their name in India. You will have to fill a self declaration to prove this. For married couples, either one of the couple (either the groom or the bride) or both of them as joint candidate will be eligible to apply for the subsidy. It is also important that the candidate applying should not have applied for any loan of financial assistance earlier from any institution that is under the government sector or private sector under the PMAY. The scheme introduced shall offer benefit to both spouse and unmarried child. Any earning member in the family can not get the benefit of this scheme weather married or not. The scheme shall cover all towns that have been notified according to the census 2011 and after that. This also includes all stated planned areas that have been stated under the statutory town. EWS and LIG – Under this scheme if the household income is around Rs 6,00,000 then they are eligible for 60 sqm carpet area. They will be offered with 6.50 percent subsidized interest rate. They can apply loan for construction/purchase or extension of property. They will be offered with subsidy of Rs 2.67 lakhs. MIG 1- If your household income is between Rs 6,00,000 to 12,00,000 then you are eligible to purchase or construct 90 sqm of carpet area. They will be offered around 4 percent interest subsidy rate and can apply loan for construction or purchase of the property. They will be offered with subsidy of Rs 2.35 lakhs. MIG 2 – To be eligible under MIG 2 category the household income has to be from Rs 12,00,000 to Rs 18,00,000. These applicants can claim for 110sqm carpet area. Rs 2.30 lakh will be offered as subsidy with 3 percent subsidy interest rate. They can use the loan amount for purchasing and construction of property. Under the scheme for construction and extension women ownership is not considered as mandatory. Under MIG 1 and MIG 2 loan application approval will be after 1st January 2017. It is important for the applicant family members to provide with their Aadhaar card details for MIG category. A tenure period of 20 years is given by the government to the applicants, or the applicants can repay back within the actual tenure period for the loan amount. The interest subsidy amount will be credited in beneficiaries account before the loan amount is credited. 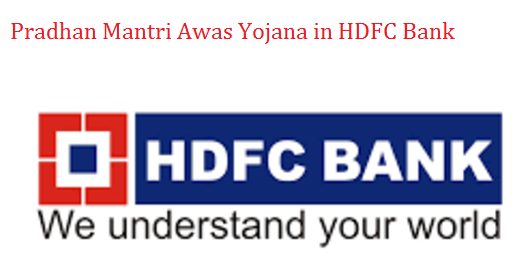 The disbursement of the loan will be done by HDFC bank with easy installment facilities. Additional amount ill not be subjected for subsidy interest rate so the borrower will have to pay normal interest rate. Caps on loan amount will not be provided by the government to the applicants. It is expected that by implementation of this scheme the demand for new housing may not shoot up much. In most urban places the benefit of Rs 2.3 lakh may not affect the price they have to pay for purchasing the property. Later on the government may also lift the restrictions imposed presently on square feet area. With the latest budget, affordable housing has been one of the main issues. It should help benefit different categories of people including common man. Even today for most middle class families purchasing home still remains a dream. To give the procession on time it is important that builders have to complete the project within the desired time limits. my father HV an plot and I want to make my hose there.can I get PMAY loan for that? Can you tell me the process , how to apply PMAY for my hdfc home loan ?